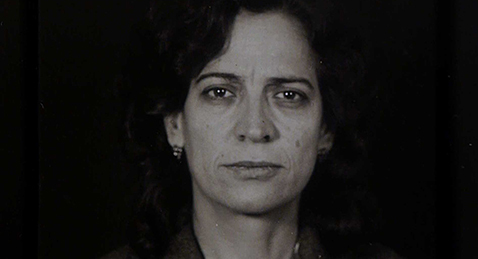 Utilizing material gathered in archives of the Portuguese political police, Luz Obscura mines the psychological aftermath of the António Salazar dictatorship. The film is composed of still images, often mug shots and other official photographs of identification— images produced by and in service of the state— with intimate voiceover commentary. Through modes of testimony, witness, and archive, the films explore and reveal how overarching structures of power operate within and mold family and community. In Portuguese with English subtitles.